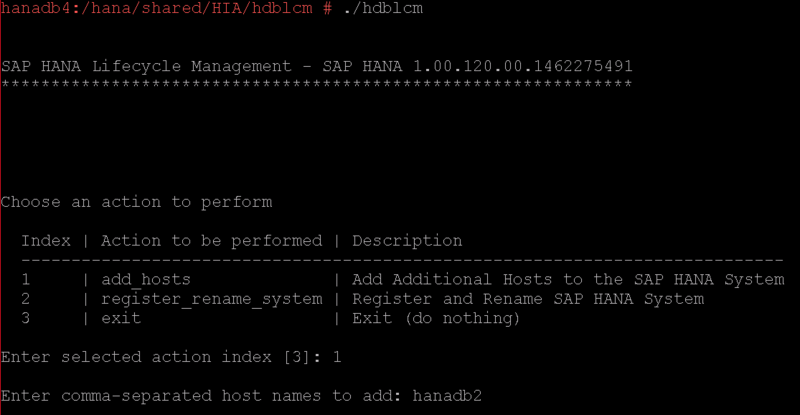 This blog gives you information about the minimal setup required for HANA high Availability. How to add standby host and perform a failover (simulation). How services, hosts and Volumes looks like before and after failover. 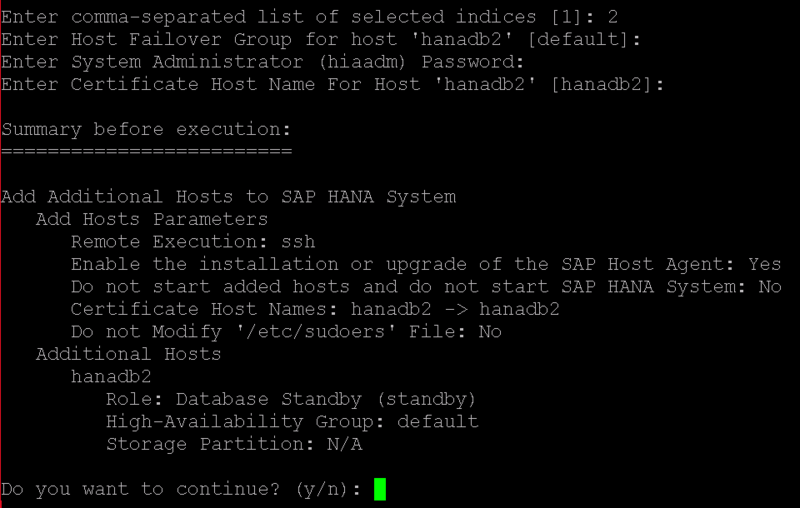 For high availability, a distributed HANA (scale out) setup is required. The minimal setup for a scale out is 2 servers (one worker, one standby). When an active (worker) host fails, a standby host automatically takes its place. For that, standby host needs shared access to the database volumes. On second node: maintain /etc/fstab as shown below and mount the file systems. start instance on first node, it retains standby role (as actual role). Nice. This is called Auto failover testing(one of the Hana HA). Thank you, Maruthi. You are right. Host auto-failover is a local fault recovery solution that can be used in addition or as an alternative measure to system replication. Thanks for the Blog which was help Full. Can you please share us the basic requirements of the network side (Internet Speed for both the Linux boxes) and the Specs of servers . My apologies for the late reply, It has been quite a while since I last checked comments here. For production setup – 10 Gbps is required. For minimal setup, we used 1 Gbps network. Linux servers with 30 GB RAM and 4 CPUs (2 sockets, 2 cores per socket, 1.8 GHz) were used. If the first node becomes unavailable, example power failure or OS unable to start, how is the NFS share available to the 2nd node ? The above work was done in lab environment. My primary focus was to show Auto host failover simulation. 1. Non-shared SAN storage attached via Fibre Channel for HANA data (/hana/data) and log volumes (/hana/log) and shared NFS/NAS storage for HANA binaries (/hana/shared). architecture where data volumes (/hana/data), log volumes (/hana/log) and SAP HANA binaries(/hana/shared) can be accessed via NFS. 3. Shared Storage Infrastructure using Cluster File System with local disks: A cluster file system, such as GPFS, spans the local SAP HANA server node disks, making the data and log volumes as well as the SAP HANA binaries available to the whole scaled-out landscape. In the event of a host auto-failover, the cluster file system provides a standby node with the required data set. 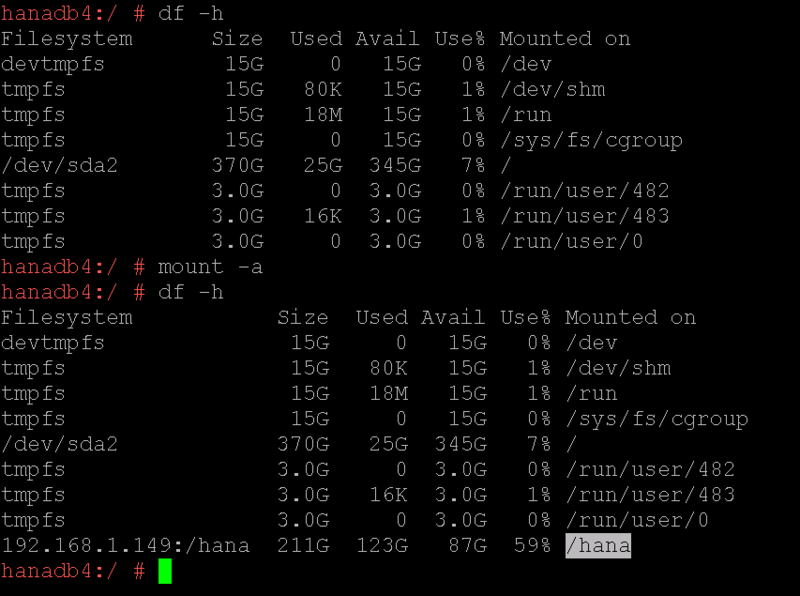 Both Node have same hardware configuration than how to configure HA mode. Hi, there is a way to manual switch between active and stand by with out “crash” de server or the service? 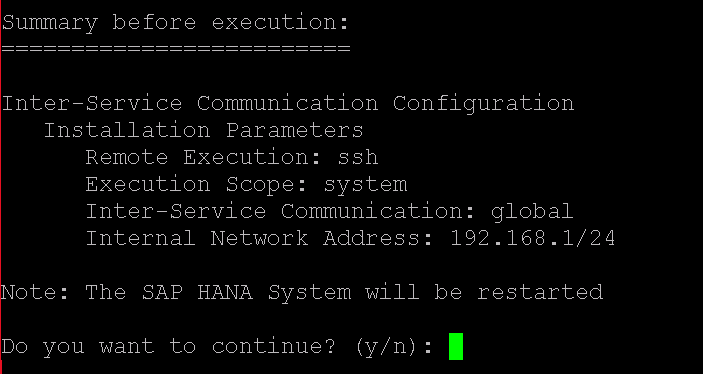 So I’m like to know if there is any command or procedure to manually aka the HANA to move the service to the stand by server. (Basically stop the active server and start into the stand by one). And then move back to the initial distribution. Hi guys, I’m again with a question. should the tenant A remain inactive on host 1. And tenant B Active? shoud the tenant A made a fail over to host 2; the. Host 1 remain running Tenat B and Host 2 running Tenant A? should both tenant switch to host 2?